The Adelaide Crows Sports Development Program is delivered in partnership with the Adelaide Crows Football Club and provides students in Years 11 and 12 with the opportunity to complete their SACE studies within sport and community settings. 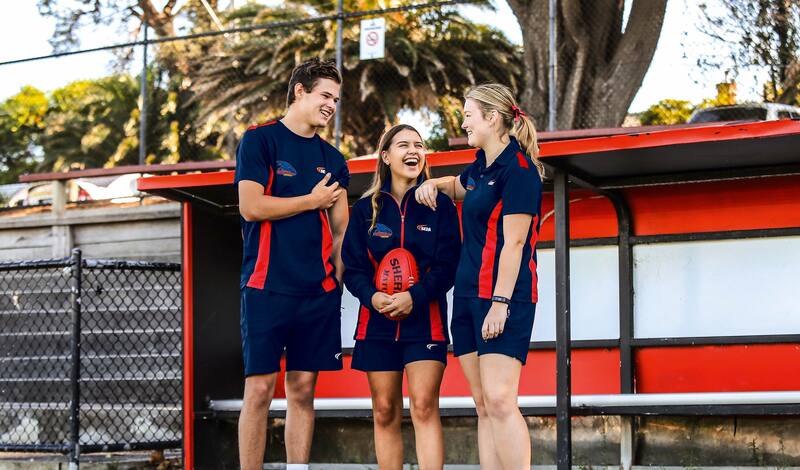 For prospective students, this is a chance to gain educational and industry qualifications while gaining a first-hand understanding of the sports industry through involvement with the Adelaide Crows. SEDA College brings a new and exciting model of learning to senior secondary students in SA. The College provides an exciting and positive alternative by offering a SACE course designed to engage students with their learning and empower their personal growth and success during and beyond school. SEDA College delivers the SACE curriculum using an applied learning pedagogy; which means hands-on learning happens both inside and outside of the classroom. Through this applied learning model, students have a deeper connection to their education resulting in enhanced engagement levels. WHY CHOOSE SEDA AND THE ADELIADE CROWS SPORTS DEVELOPMENT PROGRAM? Education for life beyond school– working to develop personal and career skills essential for life beyond the classroom including leadership, integrity, resilience and critical thinking. A selection process will be conducted by SEDA College staff for prospective students to be accepted in the program; however, selection is not dependent on sports skill or ability.